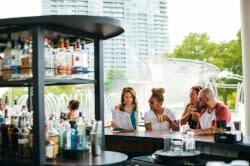 Columbus is the Midwest&apos;s new fashion mecca - the next time you or the guy in your life is looking for some new, stylish clothes, check out these five Columbus treasuries of style. Homage - There’s something to be said about the simple style in a t shirt, but it has to be just the right t shirt. 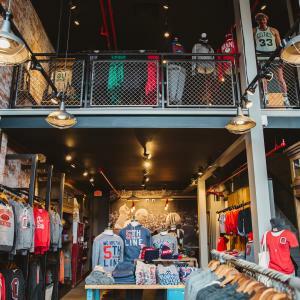 Homage’s shops in the Short North and at Easton carry only the best t shirts - screened with vintage sports and civic logos from around the nation, all in the softest heathered fabric. Royal Factory Atelier - With a deftly curated mix of cutting edge and vintage fashions, Royal Factory Atelier has its finger on the pulse of what&apos;s hot right now. This is a great place to find the work of local designers. Artisan De Luxe - There is a whole world of denim out there, and Artisan De Luxe can help you find the right pair of jeans for you. Shirts, scarves and sweaters trend toward natural materials and muted patterns. Pursuit - Recently relocated to the Short North, Pursuit is a perfect entry point for anyone dappering up their look. A small selection of slim suit styles in many sizes and fabrics along with thoughtfully curated accessories like ties and pocket squares, combined with friendly service are a home run. Any combination is going to make you look good. Tigertree - Walking into the Short North’s Tigertree is like walking onto the set of a Wes Anderson movie. Vintage school maps and mounted antlers mix seamlessly with stylish casual clothes, jackets and shoes. Hard-to-find national and international brands are mixed with house-made accessories like wallets and belt buckles from owners Josh and Nikki Quinn. Here&apos;s even more on men&apos;s fashion in the Short North.